This article was published in the Spring 2018 Baseball Research Journal. 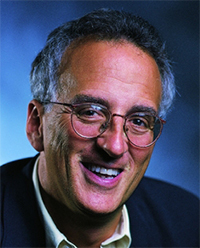 Andrew Zimbalist (1947 – ) published Baseball and Billions in 1992, a groundbreaking study of the economics of baseball. Since then, Zimbalist, on the faculty at Smith College since 1974, has published numerous articles and books on the business of baseball and other sports, profoundly broadening our understanding of the structure and business of the game. Today, he is perhaps the most widely recognized authority on the economics of sport. Zimbalist grew up in New York, moving from the Bronx to Queens, and eventually to Great Neck in Nassau County. His father was an attorney who worked in Manhattan and his mother was a nurse and later a librarian. In Great Neck Zimbalist grew into a pretty good ballplayer, where he teamed with Whitey Ford’s kids on his Little League team. His love for the game continued to evolve as he played through high school. For college, Zimbalist headed off to the University of Wisconsin in Madison, where he received his BA in 1969. He then headed back east to Harvard, earning his PhD in 1974. After finishing stints as a visiting scholar at Harvard, University of Hamburg, University of Geneva, and Doshisha University, he has been at Smith College and is currently the Robert A. Woods Professor of Economics and Chairperson of the Economics Department. It took another decade and a half, however, before Zimbalist formally combined his love of baseball and economics. In March 1990 during the spring training lockout, Zimbalist’s then 11-year-old son—worried that his Little League team might not be able to play if the big leaguers weren’t playing—suggested his father write a book on the economics of baseball. Zimbalist recognized the opportunity, found a publisher, and Baseball and Billions became a best-selling business book. Other notable books with a baseball theme or significant baseball component include Sports, Jobs and Taxes (1997), The Economics of Sport, I & II (2001), May the Best Team Win: Baseball Economics and Public Policy (2003), National Pastime: How Americans Play Baseball and the Rest of the World Plays Soccer (with Stefan Szymanski, 2005), In the Best Interests of Baseball? The Revolutionary Reign of Bud Selig (2006), The Bottom Line: Observations and Arguments on the Sports Business (2006), Circling the Bases: Essays on the Challenges and Prospects of the Sports Industry (2010), The Sabermetric Revolution: Assessing the Growth of Analytics on Baseball (with Ben Baumer, 2014). National Pastime provides a fascinating compare-and-contrast of the evolution of the structure of modern sports leagues, examining the development of baseball leagues in the US and soccer in England and elsewhere. Among his non-baseball related books, Circus Maximus: The Economic Gamble Behind Hosting the Olympics and the World Cup (2016), offers fresh insights into the economics of these sporting mega-events. Some notable research influences on Zimbalist include Albert Hirschman, the wide-ranging development and public policy economist; economist Sam Bowles; and Roger Noll, one of the first economists to rigorously study sports. Over the years Zimbalist has consulted in the sports industry for players' associations, cities, companies, and leagues. Through his wide-ranging consulting assignments and research Zimbalist has acquired a unique, nuanced sympathy for all the various actors in the business of baseball, while at the same time recognizing the various excessive positions that all sides occasionally take. Zimbalist is married with four children. Because he has now lived in Massachusetts for most of his adult life, Zimbalist admits to being a fan of several teams, including the Yankees and Red Sox. It is not surprising that someone who can balance a rooting interest in these two hated rivals can also help us navigate the rapidly expanding and complicating business side of baseball. We can only hope that Zimbalist will continue with his original and invaluable research on sports in general and baseball in particular.